Listed below are some useful links to other companies and organisations that may be of interest to you. If you have a business or organisation that you think would be of interest to visitors of this website please let me know and I will look at providing a link. Alba Ecology is a small team of ecologists with expertise in British and European wildlife. From their office bases in north-east Scotland and Ireland, they carry out a variety of ecological work in Britain and Europe. The team has a combined 150+ years of ecological research experience. Dog and puppy training business based in the Inverness area. Covers Kennel Club Good Citizen Dog Scheme courses, one-to-one behavioural and training sessions, agility, obedience, clicker and flyball training. Check out their website for the latest news on upcoming classes. This small company organises personal, bespoke wildlife holidays to Cuba. Andy Mitchell has many years of experience, leading and organising tours to Cuba and is happy to give advice and help when planning your trip to this beautiful and fascinating island. An amazing place to visit! If you are into alternative technology, birds, wildlife, rare breed sheep, or getting away from it all, its the place to go. North Ronaldsay is the northern most island in Orkney and has a character all of its own. Founded in 2003, Pawsability's mission is to help you have fun with your dog. Destress your Dog! Help them to understand you - helping you to understand them. Our fully qualified and dog behaviour expert knows that it's important to get your puppy training off to the best start too. 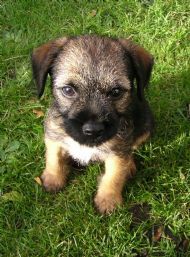 Loads of puppy training advice is given for free on the puppy help pages in the web site. We are a delivery based company, we supply everything you could possibly need for all animals; pet, equine, farm & wildlife, we also supply working and racing dogs foods. Our company is based on the belief that our customers' needs and that of their pets are of the utmost importance. We are committed to meeting those needs. We would welcome the opportunity to earn your trust and deliver you the best prices and service in the area. The only British charity dedicated to the conservation and protection of bats. They can provide help and advice about bats, the law, and how to live with these wonderful creatures. They also carry out surveys and research on bats that anyone can get involved in as a volunteer. Check out their website and find out more about these amazing animals. Charity based on Skye. Numerous projects both national and international, concerning the conservation and protection of all species of otter. Rehabilitate otter cubs for later return to the wild. Help them out by visiting their website shop. You can buy a copy of ' Let's Find Out About Otters' from there! Since 1977 People’s Trust for Endangered Species (PTES) has been helping to ensure a future for many endangered species throughout the world. The Trust focuses on specific problems and works to preserve endangered species in their natural habitats. They believe that successful conservation is based on sound scientific evidence and advice with practical outcomes. The Kennel Club is the UK’s largest organisation dedicated to the health and welfare of dogs. It was founded in 1873 and is able to offer dog owners an unparalleled source of information, experience and advice on dog welfare, dog health, dog training and dog breeding. The only membership organisation involved in the study and conservation of all British mammals. From dormice to dolphins, bats to badgers, they work to protect those that need protection by identifying the problems they face, and halt the decline of those under threat by promoting conservation policies based on sound scientific knowledge and practice. They aim to inform, educate and involve people in mammal conservation across the British Isles. For information on what, where, who around the Dornoch area visit this community website. The Royal College of Art in London has a reputation for excellence. It has produced some of the greatest designers of our time (think 'Dyson'!) and provides students with a brilliant environment to develop their skills and carry out cutting edge research. All images copyright © ARTful Creatures, Lyn Wells, 2018. Images must not be reproduced in any form without the express permission of the copyright holder.